"God Bless the Grass" has been a favorite folksong of mine for many years. Recently, I got curious to know if Pete Seger wrote it, or just performed it. That's when my research brought me to the amazing life and work of Malvina Reynolds. 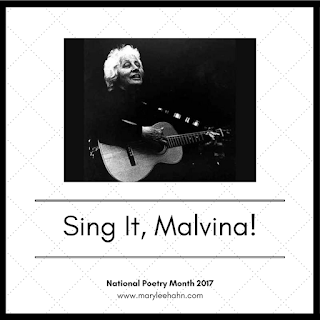 As soon as I started learning about Malvina Reynolds, I knew that I wanted more people to get to know her, and I could do that with a month of biographical poems about her life and inspired by her songs. Her work is once again quite timely, and I'm looking forward to introducing my students and blog readers to an amazing woman, activist, songwriter, and down-to-earth human being. I want to honor her, and make sure that her creativity remains alive in this world. 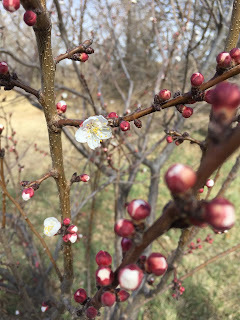 Amy has this Poetry Month Eve Poetry Friday roundup at The Poem Farm. 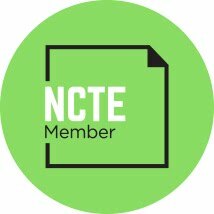 I'm looking forward to the Poetry Month projects everyone else is launching! Did you ever feel like the Universe was speaking directly to you via your seemingly random book choices? Here's a run of recent middle grade novels (some are more middle school than middle grade/5th grade-ish) that had much to teach me about grieving and loss. Wren's father dies in a plane crash and because his body is not recovered, she feels a lack of closure. Not only is Wren grieving, but her mother, in very different ways, is too. This is a beautifully written story of love, loss, grief, and healing. Clayton Byrd adores his grandfather, a jazz musician. Cool Papa is even more a father to him than his real father, who does not live with them. When Cool Papa dies, Clayton and his mother grieve very differently. She sells or gives away all of Cool Papa's belongings, and Clayton runs away with his harmonica to find Cool Papa's Bluesmen and join them on the road. Again: love, loss, grief, and healing. This is probably the best middle grade (4-5-6) novel about loss and grief that I've read since Bridge to Terabithia. 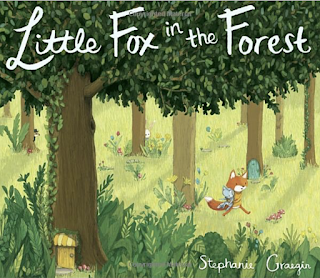 The author shows readers the depth of the friendship between Sussy and Guy -- from kindergarten until fourth grade. She shows us how fast life can change, and because she has made us love her characters as much as they love each other, walks the reader through the grieving process along with them. 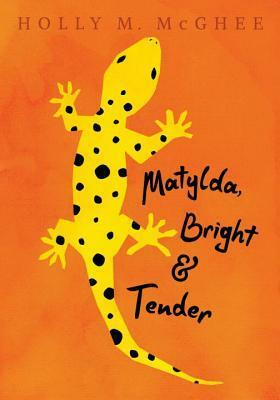 Love, loss, grief, healing, and a beloved animal, Matylda, the leopard gecko who was Sussy and Gus' shared pet. Lily Pruitt's grandparents are circus people. Queenie Grace is Grandpa Bill's elephant, and they are as close as human and animal could be. Trullia, Lily's mother, is a trapeze artist in the circus, but Lily is content to live safely in West Virginia with her father. Then Grandpa Bill dies, and Lily has to learn to overcome her grief and fear in order to help Queenie Grace through her grief. 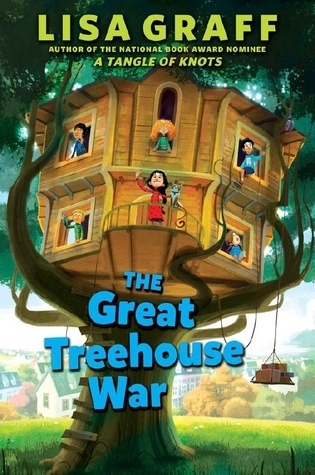 The story is told through alternating chapters from Lily's and Queenie Grace's points of view. Love, loss, grief, healing, and a beloved animal. 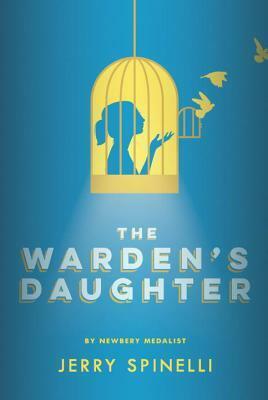 The Warden's Daughter is probably more middle school (6, 7, 8, 9) than middle grade (4, 5, 6), but readers who loved Maniac Magee might like finding similar details in the rich descriptions of the setting in this book. Cammie's mother died in a tragic accident when she was just a baby, but as a twelve-turning-thirteen year-old, she is still working through acceptance and understanding. Her nickname has always been Cannonball because of the way she blasts through life, and this is the summer when everything explodes. She's not a nice character, but like the characters in Spinelli's book Crash, you stay with her and her story so you can see how she changes in the end. 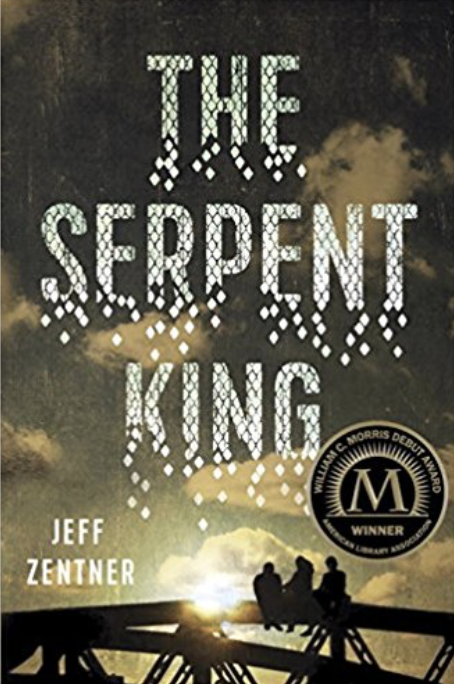 As in all of these books, the main character dealing with loss and grief is the child, but there is also a window into the ways adults grieve as well. 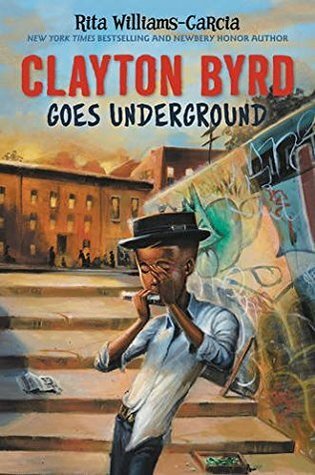 One Amazing Elephant and Clayton Byrd Goes Underground have parallel stories of grief because of children whose parents are estranged. 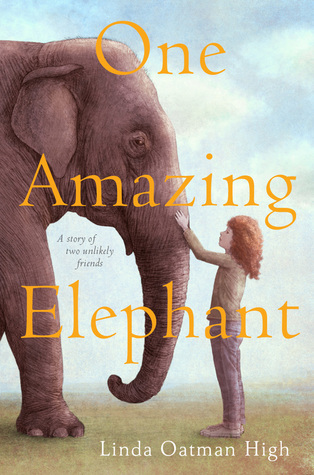 One Amazing Elephant and Matylda, Bright and Tender feature beloved animals. 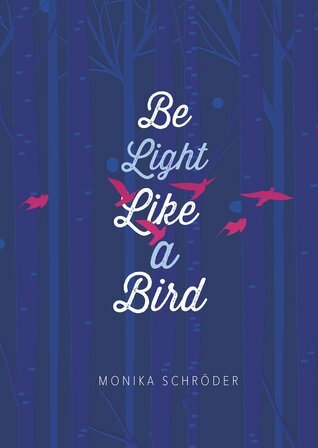 Be Light Like a Bird and The Warden's Daughter have richly detailed settings. It's been an amazing run of reading with overlapping themes and issues, but I have to say, I'm ready to read something a little lighter! Obe Devlin is watching what used to be his family's farm developed into neighborhood phases, with street names that are ironic because they describe what was destroyed to create the development: Oak Trail, Pheasant's Nest, Orchard Way. He struggles with identity (he cannot be the kind of masculine his father wants him to be), bullies, nosebleeds caused by a sucker punch from his former best friend in a turf war over what's left of the woods and the creek near his house. And he finds an amazing new breed of animal that could be the answer to all our problems, or the source of a problem as enormous as the worldwide environmental problems the human race has already caused. But, there's a great teacher. A great science teacher. A teacher who really listens and who helps. Ms. G. goes on our list of 100 Cool Teachers in Children's Literature. "Ms. G said I'd make a great scientist...I could be anything I wanted to be. But really, I knew I wanted to be a teacher like her. 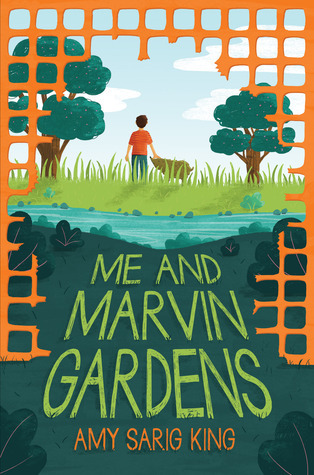 Finding Marvin Gardens had taught me so much. I wanted to pass it on...One hundred years from now, teachers would be teaching about things we would never guess. I wanted to do that. I wanted to find other kids like me and make them care about where they lived and how to make things better." I loved this book, gave it a 4 on Goodreads for the writing. It got a 5 from my heart when I read in About the Author, "The day the bulldozers came to dig up my field was the day I started my dream of having my own farm. If you've ever seen something beautiful and magical be replaced with something more convenient, then you know why this story took me thirty years to write." Twice this has happened to me. Most recently just this month. The first was the field and woods and creek behind the school where I taught more than 20 years ago. Where we called owls on night hikes, saw turkey buzzard eggs in a ground nest in the hollowed out tree we liked to think of as Sam Gribley's tree, caught and released garter snakes, reenacted Lewis and Clark's scientific expedition, hosted Ron Hirschi, read and wrote poetry, sang John Denver songs, identified trees, cleared paths, dreamed big dreams. The corn/soybean field is now a football field. I haven't been back to see what's become of the creek. It's entirely surrounded by subdivisions, that much I do know. The second was a little strip of barely-tamed wild between my current school and the playground. This Land Lab was started by teachers who have since retired or moved on, and left in my trust. 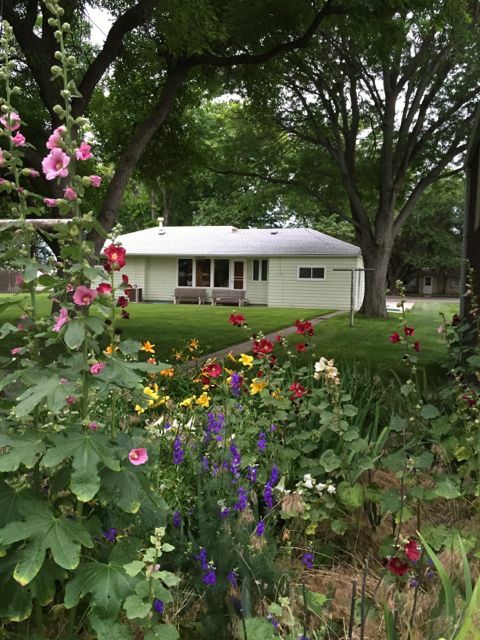 It was the place where we planted native grasses and flowers. Where there were wonders to taste (a few blackberries in the summer, and lemon mint leaves to chew), and touch (soft lamb's ear and waxy sedum and prickly rattlesnake master), and see (black swallowtails and monarchs, preying mantises and goldfinches, and the cup plant that captured water in its leaf-cups and had a square stem), and hear (stand in the middle of those tall native prairie grasses and listen to the wind and imagine Ohio before the Europeans got here). I was just about the only teacher with any real investment in the plot, and because of that, just about the only one who worked to keep it from going completely wild. I knew that when I retired it would go away, so when the district offered to take care of the maintenance, I let it go. I thought they would keep the trees (one so tall it shaded my second story classroom window). They did not. They leveled it. They didn't even give enough notice for those who had offered to rescue as many of the plants as they could take -- the coneflowers, yucca, iris, catnip, daffodils, hyacinths, strawberries, and lilies. I wonder what they did with the goldfinch feeder the second grade teacher left outside her classroom window when she retired? I feel like I've failed this small strip of wild, but perhaps it will be of more use in the long run as a grassy sward. It will certainly be more convenient. And although it's gone, nothing can erase the good it did with so many classes of students and groups in Environmental Club. Maybe I could have fought harder to keep it, and that would have been one lesson to teach by example. But maybe there is much to be taught through the pain of losing of a small piece of wild, seeing as we are on the verge of (in the MIDST of) losing so much of our beloved and wild Mother Earth. John Keats, who died at the age of twenty-five, had perhaps the most remarkable career of any English poet. He published only fifty-four poems, in three slim volumes and a few magazines. I've had my prod. I've had a little darkness to get me going. And indeed, "There is so much to admire, to weep over." What a beautiful world. What an amazing gift life is. It's good to be back. Catherine has this week's Poetry Friday roundup at Reading to the Core. 27 Magic Words Written by Sharelle Byars Maronville, Published by Holiday House. Booked Written by Kwame Alexander, Published by Houghton Mifflin Harcourt. Cloud and Wallfish Written by Anne Nesbet, Published by Candlewick Press. Du Iz Tak? Written and illustrated by Carson Ellis, Published by Candlewick Press. Fishbone’s Song Written by Gary Paulsen, Published by Simon & Schuster Books for Young Readers. Free Verse Written by Sarah Dooley, Published by G.P. Putnam’s Sons. Freedom Over Me: Eleven Slaves, Their Lives and Dreams Brought to Life by Ashley Bryan Written and illustrated by Ashley Bryan, Published by Atheneum. Baddeley, Published by Atheneum Books for Young Readers. The Island of Beyond Written by Elizabeth Atkinson, Published by Carolrhoda Books. Vallejo, Published by Candlewick Press. Mayday Written by Karen Harrington, Published by Little, Brown and Company. OCDaniel Written by Wesley King, Published by Simon & Schuster Books for Young Readers. Olinguito de la A a la Z! Descubriendo el bosque nublado: Olinguito, from A to Z! Unveiling the Cloud Forest Written by Lulu DeLacre, Published by Lee and Low. A Poem for Peter: The Story of Ezra Jack Keats and the Creation of The Snowy Day Written by Andrea Pinkney, Illustrated by Lou Fancher and Steve Johnson. Raymie Nightingale Written by Kate DiCamillo, Published by Candlewick Press. Soar Written by Joan Bauer, Published by Viking. Speaking American: How Y’all, Youse, and You Guys Talk: A Visual Guide Written and illustrated by Josh Katz, Published by Houghton Mifflin Harcourt. Treat Written and illustrated by Mary Sullivan, Published by Houghton Mifflin Harcourt. When Green Becomes Tomatoes: Poems for All Seasons Written by Julie Fogliano, Illustrated by Julie Morstad, Published by Roaring Brook Press. Illustrated by John Shelley, Published by Charlesbridge. School District, Texas and Sue Corbin-Notre Dame College, Ohio. I don't have much time to read YA fiction but it is my favorite kind of reading. 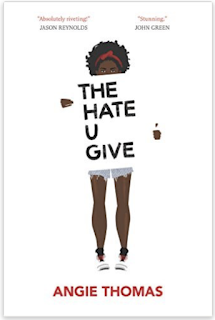 Recently, I've read 2 YA novels that are must-reads. So if you are looking for YA, these are 2 I'd highly recommend. As many of you, we were heartbroken when we read Amy Krouse Rosenthal's piece in the New York Times last week, You May Want to Marry My Husband. Chronicle books had a short tribute on their site this week. And others, like Malcolm Mitchell, have shared the ways she impacted their lives. We are joining the world in sending love and prayers to Amy and her family. Amy has given us all so much over the years. She has given so much to children, teachers and the world. When I reflected on Amy's impact on our worlds, I searched her name on our blog. She has been the focus of 26 blog posts over the years. We love her work and celebrate it here often. Her visit to our school in 2011 is one none of us will ever forget. As preparation for that visit, her work inspired our 4th graders to do something to make a difference in the world. We were lucky to have her at our Dublin Literacy conference that same year. I keep looking back at the list of children's books that Amy has written over the years. She brought love and joy and kindness to all of her work Each book amazing in its own way. Each one teaching readers important life lessons in a playful way. In Duck! Rabbit! she taught us how to see things from different perspectives, In The OK Book, she reminded us that you don't have to be the best at everything you do, and in The Wonder Book she celebrated the magic of wondering. The list goes on and on. And, if you have not read her adult book, Encyclopedia of an Ordinary Life, it is a must-read. This books says so much and the creative way in which she puts it all together is brilliant. For me personally, Amy's Beckoning of Lovely Project (inspired by the video 17 Things I Made) is what I think of every time I think of Amy. For me, this project is the anchor that ties all of Amy's work together and the message is the reason we all love her so much. It is a project I go back to a few times a year when I need to remember what it is that is important in this life. In all of her work Amy teaches us all to celebrate life and all that is part of life--all that is good in this world. This project was all about that. We are heartbroken by the news of Amy's illness and cannot imagine a world without Amy Krouse Rosenthal. We are grateful for all the ways that Amy has impacted our lives and the ways we have been changed because of her work over the years. We are better people because of Amy. 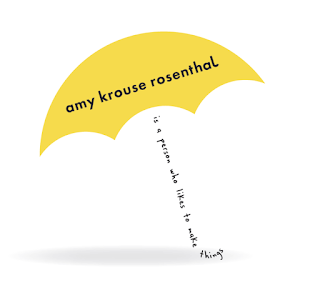 Amy's website says, "Amy Krouse Rosenthal is a person who likes to make things." We think that making the world a better place is what she does best. Thank you, Amy. That's me down in the bottom right corner of the graphic, surrounded by and supported by love and helpfulness. 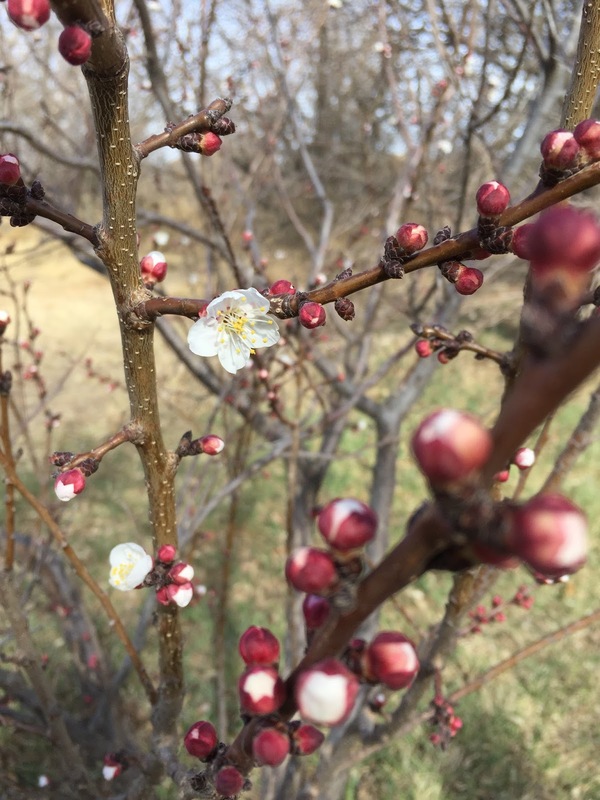 Michelle has the Poetry Friday roundup this week at Today's Little Ditty. cats because Winnie's Buttons is truly "the world's greatest cat." 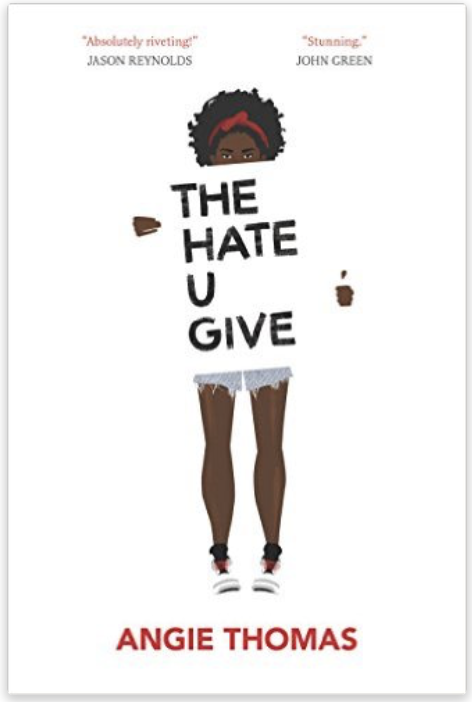 coming-of-age because it is a rare middle grade (not middle school) book that explores the end-of-5th-grade-going-to-middle-school phase, rather than being about 12 year-olds who already are in middle school. empathy because that is Winnie's super power (she calls it Artist Vision) and what helps her to solve the problem that the epic sleepover turns into. hybrid because there are fun sketches, maps, and sticky note comments from Winnie's friends. memoir because that's what the character Winnie is writing so she doesn't flunk 5th grade. I can't wait to hand this book to my student who's writing her opinion piece on Why Kids Should Have More Rights. Winnie and her friends have some legitimate claims of parental unfairness (or extreme ridiculous fairness, in Winnie's case), but the parents have some legitimate counterclaims. The kids take a stand for their beliefs, but eventually it is Winnie's Artist Vision that helps kids and parents find middle ground. I have a HUGE collection of wordless picture books. 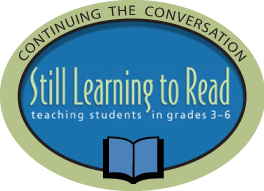 Over the years, I have realized the impact they can have on readers in grades 3-6. First of all, there are so many gorgeous wordless books and kids can spend hours with them. And many of these books have incredible depth--so much meaning and so many layers embedded in the illustrations. What I love most about wordless picture books are the way they level the playing field for readers--the text is not an issue so for readers who are insecure or reluctant, wordless picture books often allow them to engage in a different way. I use wordless books often and just found a new favorite. 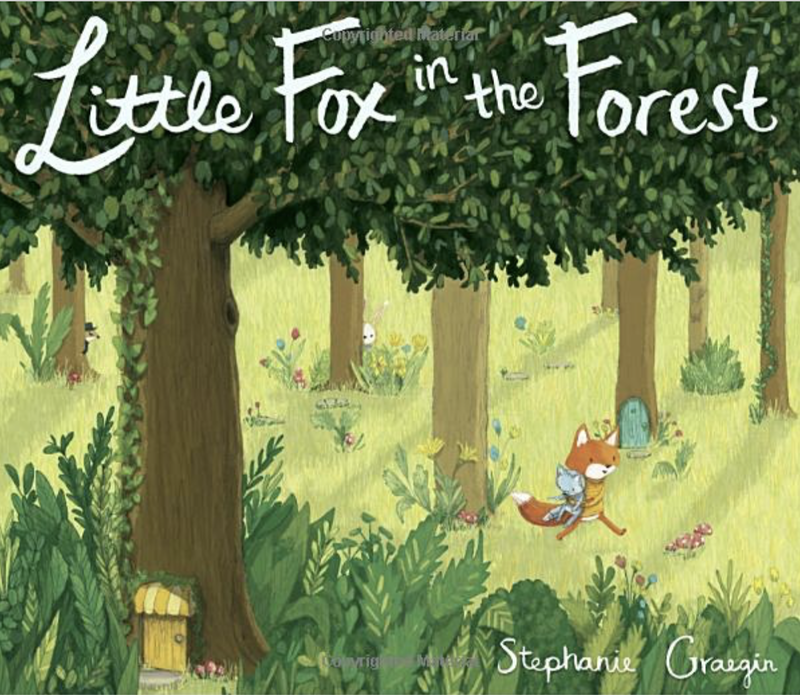 Little Fox in the Forest is my new favorite wordless book! I don't want to say too much about it but it is FABULOUS! I don't know where I first saw it but I ordered it right away. It is happy with a fabulous message and lots to think about as you read the pictures. Last week, I shared the Kindle version with my kids so they could take time with the pictures as they were on the large screen. This is a must-read, must-have, don't-let-out-of-your-sight new book! You'll definitely want a copy or two! Liv of Livbits was in Dublin, Ohio for the Dublin Literacy Conference last week. She stayed in Columbus for a few days and we were lucky enough to have her visit our classroom. What a fun day we had! My students were filled with joy when she entered the room. They could only scream and squeal and giggle the whole time she was in our classroom! First Liv talked to us a bit about her work and sharks and books and lots of things. She brought us some treats--the new Fenway and Hattie book and Water Princess by Susan Verde! We gave her some treats too. We know how much she loves Pop-Tarts so we each gave her a package of Pop-Tarts with a note attached. (along with some Pop-Tart earrings). Before Liv left, we got to star in a Livbits video with her! It was a great day. Liv continues to inspire my students with her videos, blog posts and more. I think her positive message and the combination of seriousness and fun that Liv brings to her work is empowering to other children. She lives the words "Kids Can Teach Us" and reminds us all of this important message every day. If you haven't kept up with Livbits, you can find her videos on her Vimeo Channel. She has an incredible blog that you'll want to read regularly. And of course, you'll want to follow her on social media (@thelivbits). Many of my kids repeated these words throughout the week, "Meeting Livbits was the best day of my life!" Life comes at you fast, doesn't it? ...last Friday evening, life (and the floor) came at my mom fast -- she fell, breaking her hip, arm and wrist, earning her a helicopter ride to Denver. She had a partial hip replacement on Saturday, and she's scheduled to have surgery on her arm and wrist today. For today's poem, I borrowed lines from Billy's poems. 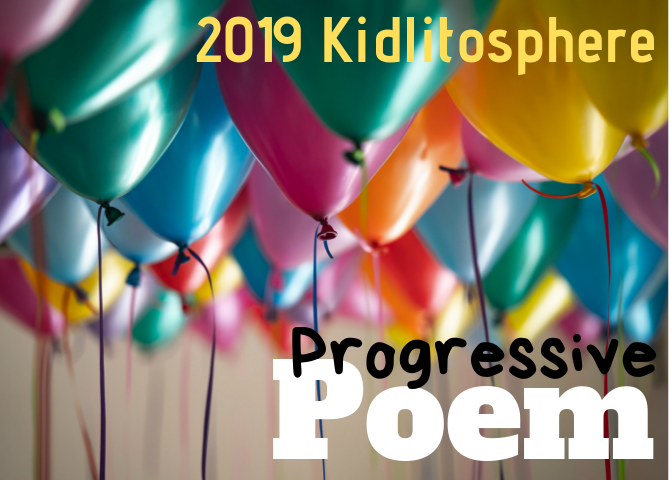 Heidi has the All-Billy Birthday Extravaganza (plus other assorted poetry posts, including the Poetry Sisters' Ekphrastic Poetry Challenge) at My Juicy Little Universe.